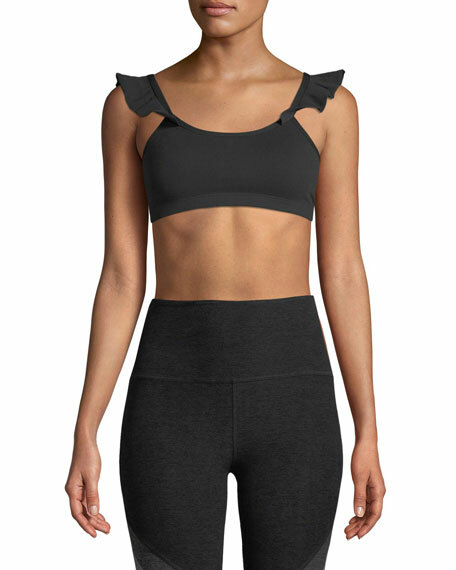 Alo Yoga "Ripped Warrior" bra in sculpting performance knit fabric. Provides light support for low-impact activities yoga, pilates, golf. Moisture wicking, antimicrobial, and four-way stretch.